Join us at our Boulder office on Thursday, July 24th at 6:00 PM for Refresh Boulder. Jen Lewin, Owner of Jen Lewin Studio, will present Please Touch The Art. 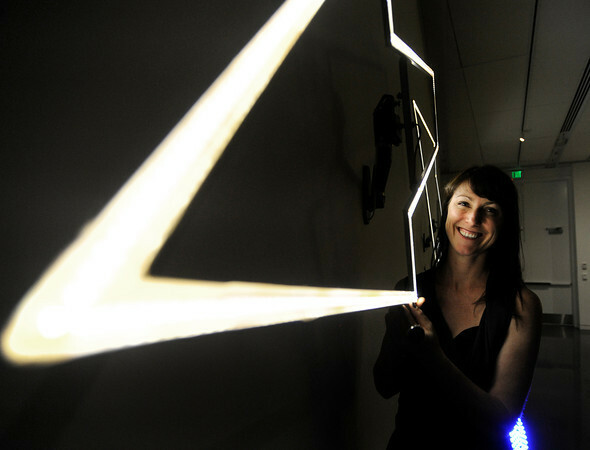 For the last 15 years Jen Lewin has been creating large, immersive, interactive art pieces for the public. From interactive sound and light sculptures that inspire people into play, to woven fiber video curtains that reflect movement, or giant, robotic, ethereal moths that dance based on human touch. Lewin’s ability to utilize technology as a medium is rare and unprecedented. She brings an organic, feminine quality to her electronic work that leaves viewers enchanted and surprised. She will showcase several large interactive art installations created to activate and connect community. Using examples such as The Pool which is currently traveling world wide or her Light and Sound Harps, Lewin will demonstrate how interactive sculpture can be used to transform and change the public experience. The evening kicks off at 6:00 PM with pizza, beer, and some good old fashioned mingling. At 6:30 PM, the presentation will begin. Why: To come together and refresh the creative, technical, and professional aspects of our trades.